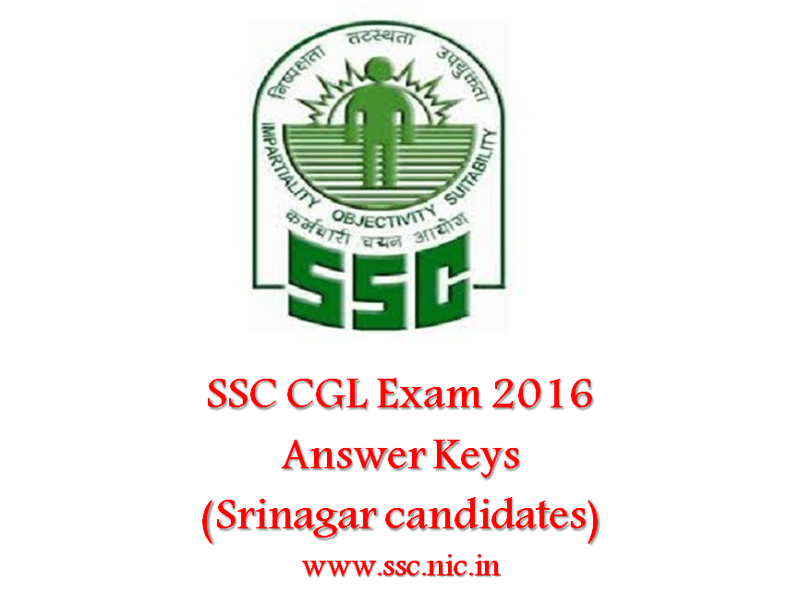 Answer keys have been released for SSC CGL Tier 1 exam held for Srinagar candidates. The exam was held on 25 September. Answer key challenges will be accepted till 04 October. Staff Selection Commission / SSC has released the answer keys for the CGL Exam Tier 1 held at Srinagar. Answer keys for candidates who had appeared from other part of the country has been released before and the deadline for submission of answer key challenge is also over. Candidates from Srinagar who had appeared for the SSC CGL 2016 may go through the answer keys corresponding to their Test Form and submit representations on 04 October. The representations should be submitted by 05.00 pm on the above mentioned date through online mode only. Candidates are required to pay Rs 100 per answer.